We’ve all heard of blood pressure, and we all know that high blood pressure is bad, but what is blood pressure? When your heart pumps blood around your body, the blood pushes against the walls of the blood vessels. It’s this pushing against the vessel walls that defines your blood pressure, if it’s too high it adds extra strain on your arteries and heart, this can eventually lead to heart attacks and strokes. 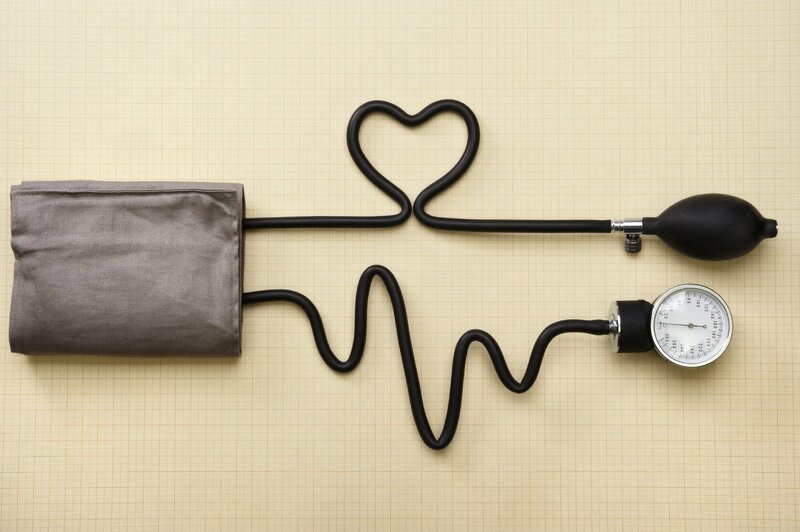 Blood pressure can be affected by stress and is considered a main contributor to high blood pressure. If you’re stressed then your body is constantly on edge (fight-or-flight mode). This can cause physical effects such as constricted and faster heart rate, which contributes to a higher blood pressure. Stress also increases the chance of engaging in bad habits such as unhealthy eating and drinking too much alcohol. Studies have shown that reducing stress can help lower blood pressure. Check out these tips on how to de-stress and relax. As you start exercising, you’re regularly increasing your breathing and heart rate. This, in turn, lowers your blood pressure and reduces the strain on your arteries. In a 2013 study of older adults, those who participated in exercise, specifically aerobic, lowered their blood pressure by an average of 4.5% diastolic and 3.9% systolic. There have been many studies conducted on the effects of sodium on blood pressure. While some studies show that salt has been linked to high blood pressure, and even strokes, more recent studies show that may not be the case. Some hypotheses for these contradicting results are that genetic differences in how people react and process salt and sodium could change the effect it has on the individual’s blood pressure. Most guidelines recommend lowering the amount of sodium in one’s diet to reduce blood pressure. Alcohol has been linked to 16% of high blood pressure cases around the world, according to some studies. Overdrinking and binge drinking can raise your blood pressure, and reducing your alcohol intake to the recommended guidelines will more than likely help reduce your blood pressure. As with everything in life, moderation is key. A responsible amount of alcohol can have benefits; read about the benefits of beer or the benefits of tequila. Incredibly, dark chocolate has been shown to help lower blood pressure, according to a study conducted by Harvard. Flavonoids in the cocoa solids help widen/dilate your blood vessels, which in turn, helps lower your blood pressure. For the dark chocolate to be effective, you should eat ones that are 60-70% cacao. Losing weight if you’re overweight can dramatically lower your blood pressure. It also helps you avoid other medical problems that can occur when you’re overweight. Losing weight while also exercising can help reduce your blood pressure even more, according to one study. Losing weight helps your blood vessels contract and expand easier, making it much less stressful on the left ventricle of the heart. In the same way that dark chocolate can be good for your blood pressure, so can berries, specifically blueberries. They’re rich in flavonoids, a natural compound that can help dilate and widen your blood vessels, this can lower your blood pressure. Smoking can cause a plethora of health issues, including heart disease. Every time you smoke, your blood pressure rises slightly. Smoking can also damage blood vessels which can negatively affect your blood pressure. Could acupuncture hold the key to you giving up smoking for good?